By definition, eldercare refers to the services that elderly people require as a result of age-related physical or mental impairment. In reality, eldercare is much more than that, and extends to the physical, emotional and oftentimes financial support of aging members of our family and community. 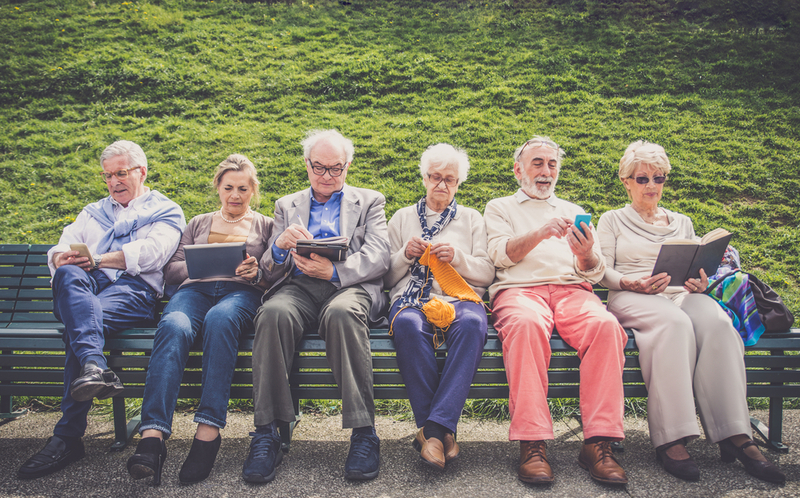 According to US Government Statistics, there are currently 46.2 million Americans over age 65, and the population of people over age 65 is projected to reach 98.2 million by 2060. America is getting older, which is creating a new industry of care for the aging. It’s also creating a new subset called the sandwich generation; those individuals, typically in their 30s and 40s, who care for both their aging parents while supporting their own children. Chances are you are going to be faced with decisions about the care of your family members as they age. As a larger number of elderly Americans choose to age-in-place (which is a euphemism for I don’t want to go to a nursing home or residential facility), more and more of us are wondering how they will take care of family members who may not be able to fully take care of themselves. Thankfully, the options and services available for eldercare are growing to keep pace with the aging population. Assisted living facilities, residential communities for senior citizens, nursing homes, and in-home health and day care for adults are services that can be considered. One of the best things you can do as an aging parent is talk to your family members about your concerns and expectations. Conversely, as a young adult, addressing the wishes of your parents before care is needed can help you make better-informed decisions that are consistent with family values. If eldercare in a nursing home or medically assisted facility is imminent, you may want to review the financial and legal obligations with a trusted professional before making any decision. The costs associated with long-term care can be catastrophic, and making strategic arrangements with tax and legal advisors can protect family assets. Doctors and Lawyers and Financial Planners – Oh My! Other considerations surrounding eldercare include updates or modifications to existing insurance policies, estate plans, living wills, protecting assets in a trust, or making provisions for in-home care that may be more comprehensive than going to a separate facility. Each family will have different needs, and likely within the family, there will be a variety of opinions about those needs. Having an open and on-going communication about the emotional and financial challenges of eldercare can alleviate much of the stress and confusion that can accompany this situation. To discuss your family eldercare situation, call Mooney Lyons and speak with one of our professionals. We have experience in the many areas surrounding eldercare and can help you make a plan that protects not only your assets but the people who are closest to you. The opinions voice in this material are for general information only and are not intended to provide specific advice or recommendations for any individual. Mooney Lyons and LPL Financial do not provide legal advice or services.